A man arrested on suspicion of murder following the death of a man in Park Farm, Peterborough, has been released without further charge. The 46-year-old was arrested along with a 43-year-old woman from Peterborough, who was suspected of perverting the course of justice, on Friday April 22. 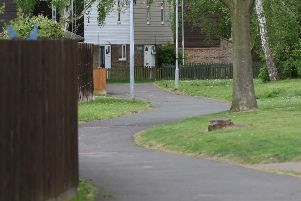 Police cordoned off a property in Park Farm Way, Park Farm, Stanground, as part of the investigation into the unexplained death of a man in his 40s on April 15. The pair were due to answer bail today, Friday May 20, and police have confirmed no further action will be taken. The man’s death is no longer being treated as suspicious.